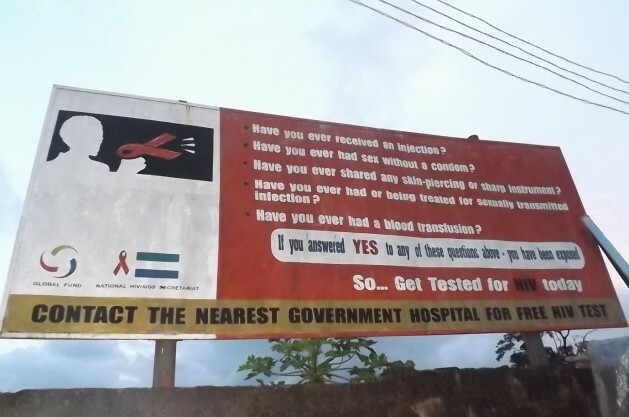 FREETOWN, Dec 1 2014 (IPS) - The outbreak of the deadly Ebola epidemic in Sierra Leone has dwarfed the campaign against HIV/AIDS, to the extent that patients no longer go to hospitals and treatment centres out of fear of contracting the Ebola virus. “It is a big challenge for us. HIV/AIDS patients now fear going to hospitals for treatment and our workers, who are also government health officials, are also afraid of contacting patients for fear of being infected,” Abubakar Koroma, Director of Communications at the National AIDS Secretariat, told IPS. According to Koroma, “between January and now, that service [for pregnant women] has dropped by 80 percent. We are worried that the Ebola crisis may worsen the situation.” From the point of view of those already living with HIV/AIDS, this is already happening. Songo added that the core activities of NETHIPS, which include community awareness raising and training of members in care and prevention, have all come to a standstill because of the government’s ban on all public gatherings following the Ebola outbreak. According to Songo, these measures are working because “that way, our members, who fear going to hospitals and treatment centres, can stay at home and take their medication. We know it is risky to go to treatment centres nowadays because of the possibility of contracting Ebola, another killer disease,” Songo told IPS. Jonathan Abass Kamara, Public Relations Officer at the Ministry of Health, told IPS that attention is still focused on the fight against HIV/AIDS. “Even though Ebola has taken centre-stage, the Ministry is still very much focused on the fight against HIV/AIDS. We supply drugs to patients regularly and we try our best to give care and attention to them,” Kamara told IPS.